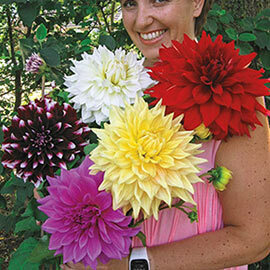 Amazing colors and myriad forms elevate simple dahlia bulbs to something special in the landscape or garden. 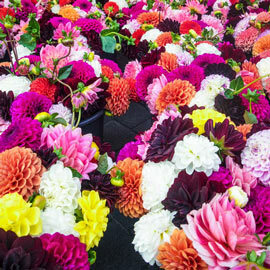 When choosing dahlia bulbs for sale in spring, consider how they will look in the landscape. Plant them in large areas for colorful and inviting displays that draw the eye over the entire property. 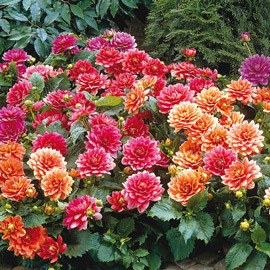 Most types of dahlias can be overwintered in the ground in zones 8-10, otherwise the dahlia tubers should be lifted in fall and stored until the following spring. 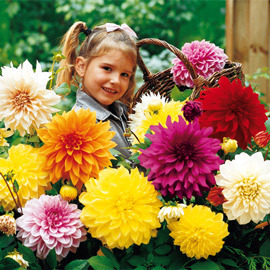 Growing dahlias in pots is another option for those in cooler climates. 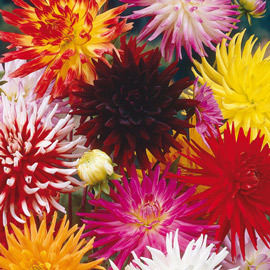 Dahlias can be started indoors in individual pots with damp peat moss and vermiculite. Care MUST be taken in transplanting them outdoors. Plant dahlias outdoors after all danger of frost has passed. Choose a sunny site with well-drained, sandy soil. Dig soil to a depth of 12". Amend soil with peat moss or compost. Replace about half the soil, then place tubers flat and cover with remaining soil. Space tubers 12-36" apart depending on variety. Water after planting and not again until shoots appear. Stake plants. As plants grow, increase watering. Fertilize sparingly. 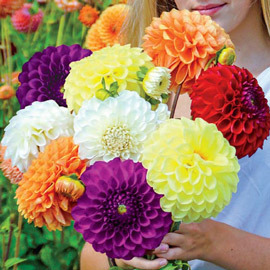 Pinch and disbud dahlias for later and larger flowers. Buds tend to grow in threes; two-sided ones should carefully be pinched to develop the central bloom. 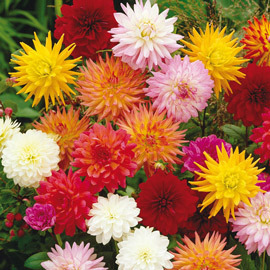 This is especially important with border or pot plant dahlias. If the plants are not pinched back, they will not retain their low, compact size. 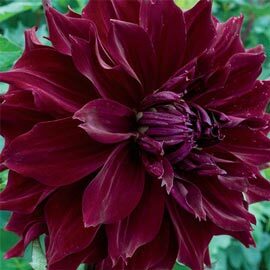 An exception to this would be the Dahlianovas, which do not require pinching. In areas with winter freeze, carefully dig the tubers in fall after the first frost kills the foliage. Cut the stalk approximately 3" above the tuber. Allow tubers to dry thoroughly. Pack them carefully in dry sand, peat moss, or sawdust and store in a cool (40-45°F) dry place. Leave 1" of stalk attached to each tuber which must have an eye or bud to bloom. Hardy in zones 8-10.